Working through our Digit-al Dozen one year celebration, and the theme we are revisiting today is "animals". I chose an easy one, one that I've never done before either. It's really hard to get nail art done and posted every day in case you were wondering :P So, it would be fair to say I was in a hurry when I did these! Behold! 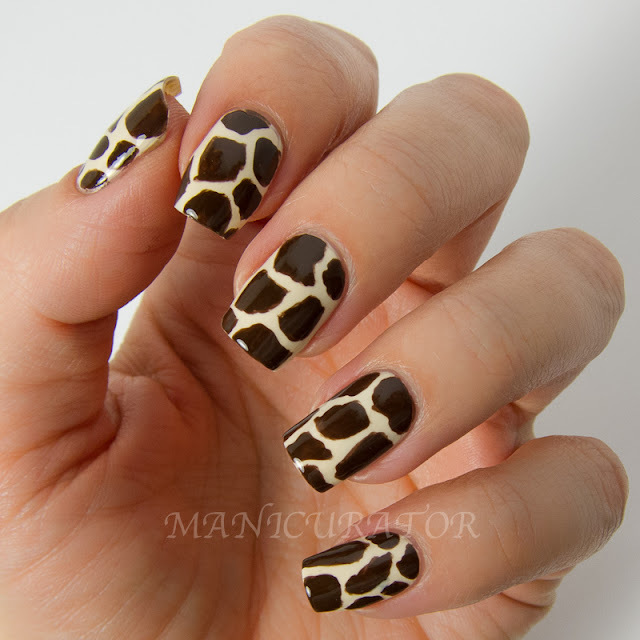 My first giraffe manicure! First step, three coats of Zoya Jacqueline. 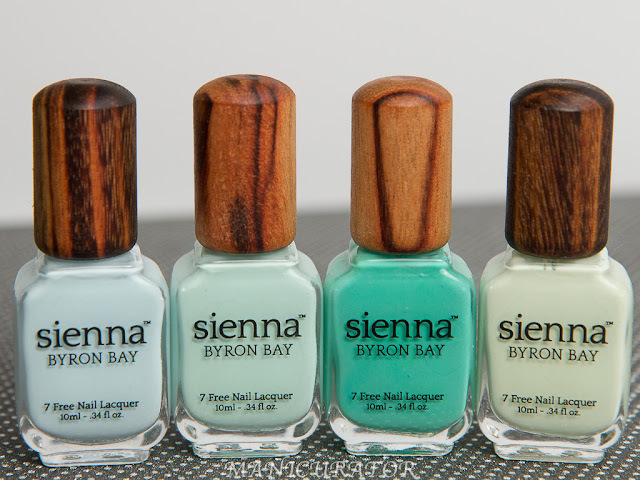 I love this one as a nail art base..but I do need three coats before it evens out and I'm happy with how it looks. Second step, use small nail art brush and somewhat carefully blob on giraffe spots. 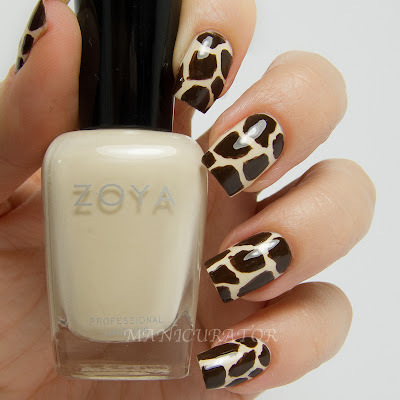 I used the gorgeous Zoya Louise from the Fall 2013 Cashmere collection. 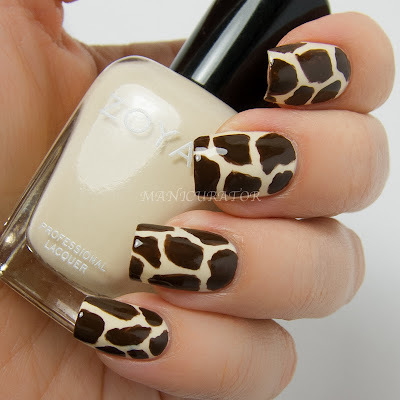 The hardest part of this mani for me, was going over the brown spots for a second coat. 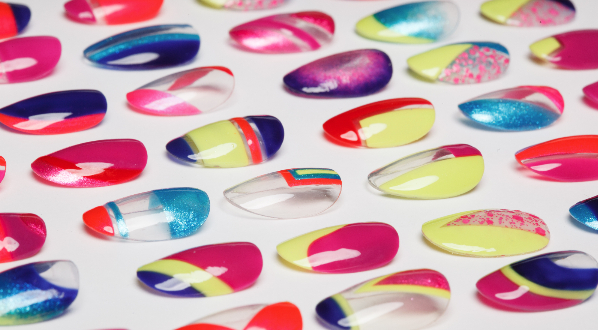 This is one of those manicures (in my opinion) that looks better without the macro lens if you know what I mean. The slight imperfections that you can see amplified are almost non existent in real life and I'm really loving these on the nail. What do you think? Would you wear these? 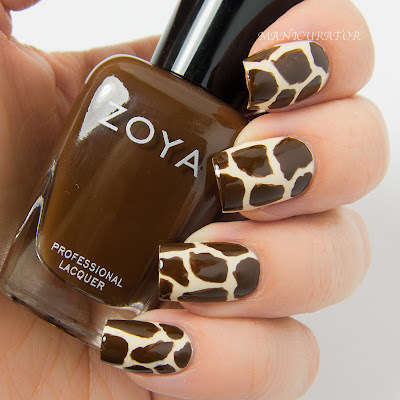 My husband and I were just discussing animal print the other day and that we both like it best in small doses. This is a small dose I can get behind! This is awesome, I love it! 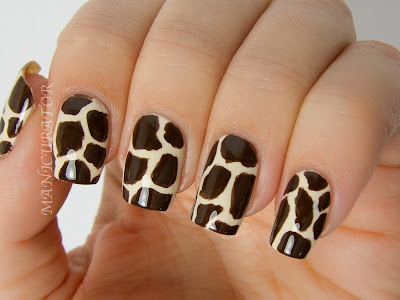 Definitely no doubt that it's giraffe print! Great color choices. This is SO COOL! Definitely bookmarking this page for later recreation. 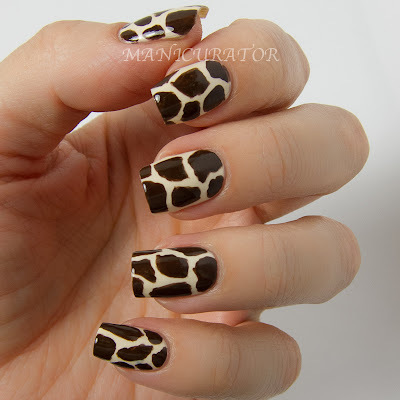 I love the giraffe pattern!